John Kossik has been on the site before, with interesting insights into shooting film and camera rebuilds. It is safe to say John has an inquiring mind. And now he addresses an issue that I have been thinking about for a long time. 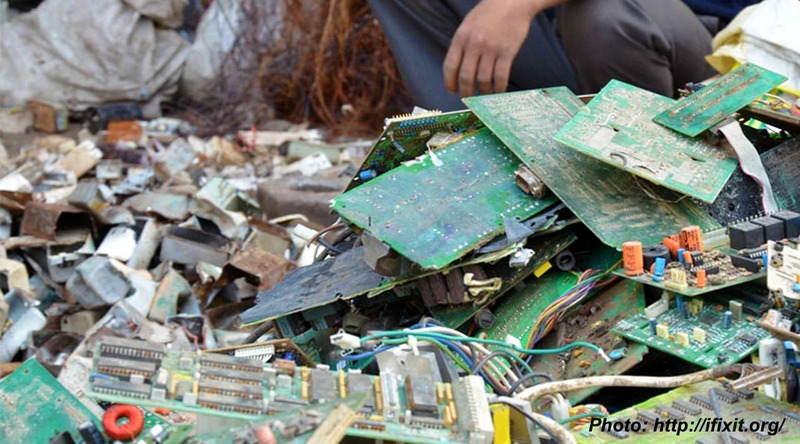 What sort of impact the digital revolution has been having on the environment. John presents us with a clearly researched and well composed piece on the relative effects of film and digital photography on the environment. Abstract- A preliminary evaluation was conducted of the consumer yearly cost and the yearly carbon footprint of the use of a modern full frame digital SLR and a modern film SLR. This evaluation came up with a yearly consumer cost of the digital SLR to be $ 533/yr while the similar yearly cost of the film SLR ranged between $ 855/yr to $369/yr. In the evaluation of yearly carbon footprint of these two image-capturing methods it was found that the yearly CO2 emissions from a digital SLR was 5.5 kg while that of the film SLR was 2.7 kg. Both these values are probably skewed in favor of the digital SLR as the recyclability and biodegradable potential of photographic film were not fully accounted for in these methods. It is obvious for the professional photographer that digital imaging has distinct advantages over traditional film photography. But this fact is predominantly due to the vast number of images professionals take and their need to quickly transmit and/or print these images. Their very livelihood in most cases depends on it. Professional photographers are of course not what allows imaging, whether digital or analog, to exist. Imaging technology was created and is only really sustainable if the general public embraces it. The needs of the casual photographer greatly differ than those of the professional. The casual photographer takes far less images and is not under the same time constraints. Due to this the difference the monetary and environmental difference between analog and digital for the majority of the public is far more difficult to assume. Since the general public is not burdened by an immediate cost when taking a digital image the first assumption is that the image is “free.” This is compounded by the tangible immediate cost seen by the customer of “old-style” analog images in the form of purchasing film and getting it developed. Though the costs of film and its processing are small compared to the purchase cost of a digital camera, the cost of a digital camera is a one-time event while with film the customer is continually reminded that there is a cost, be it incremental, to produce images. This paper will try to normalize these costs by concentrating on the “life-cycle” or yearly costs of digital and analog imaging. In a like manner the environmental costs of each of these imaging methods will be compared by attempting to assign a yearly Carbon Footprint to both digital and analog capture. To compare these costs we will be looking at the consumer costs of the actual cameras used to capture these images and well as the cost in the analog case of the film and its development. To get a comparative cost of the camera hardware itself it is assumed that a new digital and film camera is bought. It is also assumed that the cost of these cameras are the same. To arrive at this cost the list prices of a D610, D750, F6, and FM10 were found from Nikon’s website. [i] These prices were averaged to come up with a hardware cost for both digital and analog of $1,660. To determine the yearly cost of a film SLR the cost of the film and its developing must be included. In doing so an actual number film images per year has to be arrived at. In addition the yearly capital cost of the film SLR needs to be determined. Due to the advancements in technology usually being limited to the film itself, film cameras typically have a much longer lifespan than a digital cameras. It also must be accounted for that a person using a film camera will take much less shots than one using a digital camera. Some quantitative data on this needs to be determined before we can move forward. For this I will fall back on my own personal experience with my own cameras, specifically the digital SLR I currently use, a Nikon D300. 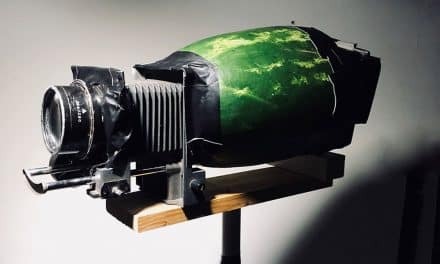 Of course if this were a film camera I would have a far smaller number of actuations per year as the “Spray and Pray” method used especially in sports and wildlife photography would be far too costly. But how to come up with a reasonable value for the equivalent number of film camera actuations? Well here again I have to fall back on my own personal experience. By these calculations the yearly cost of the digital full frame SLR is $533.3 and that of a film SLR is $854.6, or the cost of a digital SLR is 62% of a film SLR. Now, one could argue that the above analysis is skewed in favor of digital as the cost for film includes developing. But then you say, if you do not develop the film then you have no images to look at. The competing argument in digital would say that even though the images are on the flash media in the camera you still need a computer to view and show them as well as some type of internet access to transmit them. The fact that digital imaging is not viewable without these secondary and many times ignored elements could be viewed as significant. If you consider the latent image on the film in your camera the same as the digital information on your flash media (both of which need further processing to create a usable image to view) then the yearly cost of film photography in this analysis should only include the cost of the film itself and not the development. If this approach is taken the cost for film is reduced to $0.18/image and the cost of film photography reduced to $369.34/yr (the author will allow the reader to do the math on this). If this is the case then instead of digital imaging costing less than film it now is 144% the cost of film imaging. Carbon footprinting has been a growing concern lately and is seen as one of the metrics in which companies and individuals measure their effects on the environment. This is useful as the consumer cost of an item in most cases does not reflect the “true” cost of this product. Costs, especially environmentally and socially are not included in the purchase price and thus carbon footprinting is one way in which to try to quantify these. Carbon footprinting is far from an exact science but it is a useful tool in getting a handle on order-of-magnitude comparisons between products and their modes of production. This is what we are going to attempt here in comparing digital and film imaging. To do this we are going to concentrate only on the image-capturing elements of these two technologies, namely the digital sensor and one frame of photographic film. This approach implies that the hardware carbon footprints of both digital and film are the same, minus the digital sensor itself. This is a good for a first approximation but will probably end up estimating the carbon footprint of digital imaging to be smaller than it actually is due to the fact that digital cameras are used for a much shorter time frame than film cameras. Now we have to assign a CO2 footprint to each of these materials. These footprints are traditionally given in kg of CO2 per kg of the material in question. This estimate for digital is probably low as it does not account for all the other parts of the digital camera that will be thrown away in three years, but it gives us a first estimate. Using this estimate we see that the carbon footprint of a digital image sensor is at least 206% of that of a film image. Now the above carbon footprint does not include the development processing of the latent image on the negative for film. One could argue that this should be included thus raising the carbon footprint of film making it closer to that of digital. Perhaps in a future evaluation this carbon footprint of film developing can be added. I would imagine though that the development carbon footprint per image would be very similar to that of the film itself, essentially doubling its overall value. In this case the carbon footprints of film and digital would be very similar as it was for their consumer cost. The estimate for the number of film images a casual photographer will take in a year needs further analysis as it has a large impact on the cost and footprint of film. I personally think that the value used here is high making film more costly and having a larger carbon footprint than it should, but I will leave it to others to address this point. In addition, the environmental impact of digital (other than carbon emissions) was not really fully accounted for in this article due to its inherent un-recyclability. 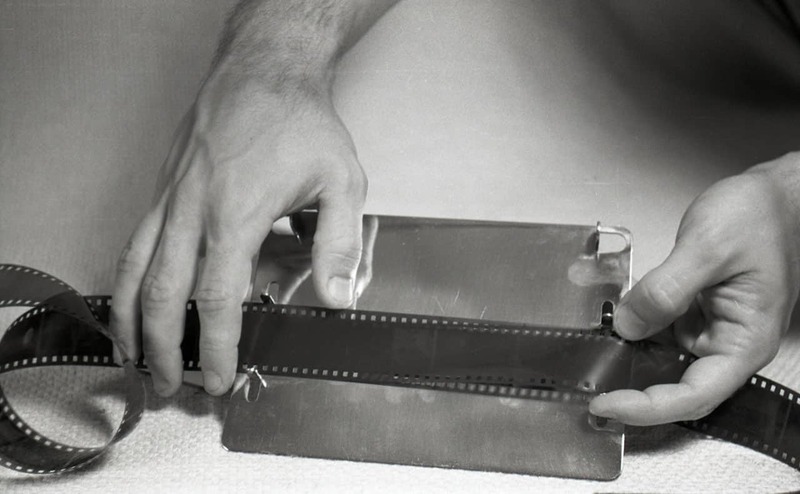 The silver in photo film is almost 100% recoverable for color film and some 60% recoverable in B&W film. 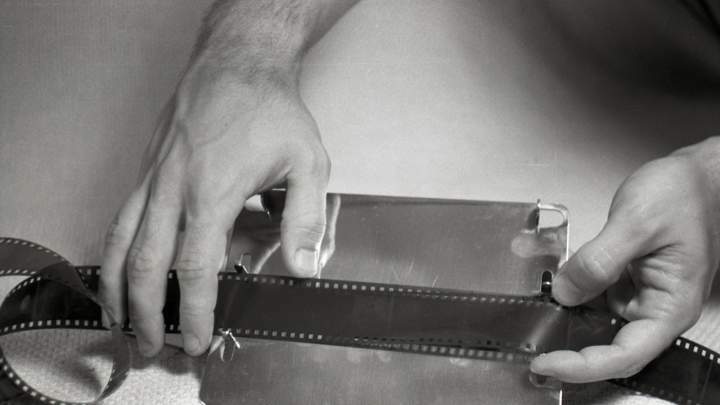 [xxi] Matter of fact, even the perforations made in 35mm film are collected to recover the silver therein. [xxii] Also the chemicals used in both C-41 and B&W processing (and E-6 but not to the same extent) are relatively simple and far more benign than those used in semiconductor manufacture. Home developing aside, these chemicals can be recovered, reused, or repurposed fairly simply by modern chemical processing standards. If the markets were large enough commercial development labs would have places to send their spent chemicals so that recovering of the materials beyond that of silver could be optimized. Also, the resulting film negatives are extremely benign. Even the silver is not as “bad” as people claim it to be. After all it has recently gained a renewed use as a bactericide, as our grandparents knew very well. That’s why they used real Silverware, not utensils made from stainless steel. As for biodegradability, well the Cellulose Triacetate and especially the gelatin in film are easily returned to nature, matter of fact keeping it from doing so is one of the major challenges of archiving traditional negatives. Of course none of this is true for semiconductors. 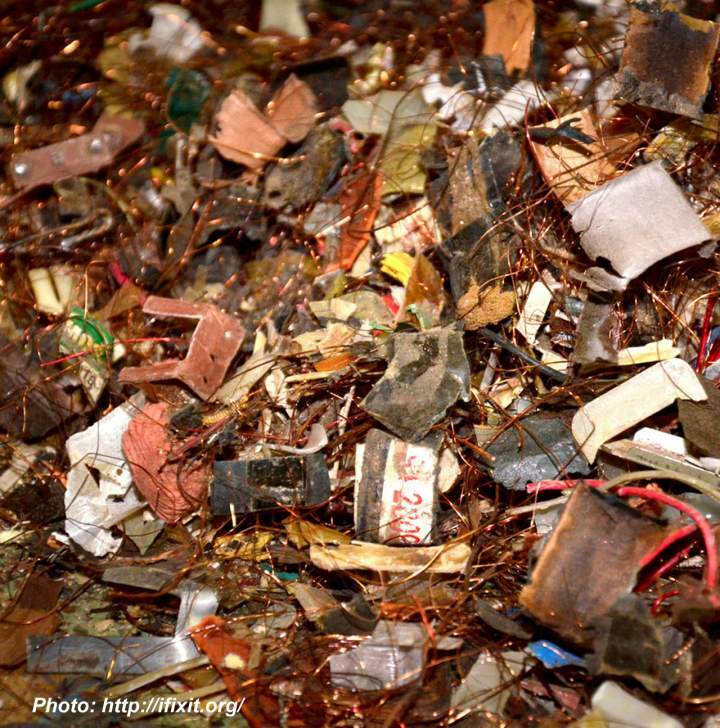 Perhaps a very small amount of a printed circuit board can be recycled or repurposed, but virtually none of this is true for the semiconductor chips and their related enclosures. Combine this with the fact that most semiconductor-based products made today are designed specifically to be un-repairable and un-recyclable as well as having a short lifespan (so people buy new ones, Apple is one of the largest offenders in this case) and we have the tragedy of piles of E-waste accumulating in poorer countries. This is one of the items that should be explored in future analyses with the understanding that the recyclability of film and the un-recyclable nature of digital needs to be factored in somehow. The above is of course just a first approximation of the comparison between digital and film imaging as it pertains to yearly consumer cost and yearly carbon footprint. The quantities calculated here are subjective especially when it comes to the carbon footprints which are difficult to quantify accurately. I welcome others to look at these parameters quantitatively and hopefully come up with estimates better than those I have given here. That said, this at least lends some quantitative data to the continuing evaluation of these two image-capturing formats beyond the typical qualitative comparisons widely present in the past. In the final analysis, due to both these evaluation parameters being of the same order of magnitude for both image-capturing formats, we can confidently see that Digital is not Free. 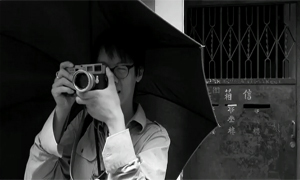 I would like to thank Robert L. Shanebrook (http://www.makingkodakfilm.com/) and E.J. Peiker (http://www.ejphoto.com/) for their valuable input to this article. John Kossik (jmk@63alfred.com) graduated in 1983 with a degree in Chemical Engineering from Michigan State University, he currently works for Beacon Engineers, Inc. (www.beaconengr.com) a small industrial engineering firm in Bothell, WA, USA and is co-founder of Steadfast Equipment (www.steadfastequipment.com). Some of his images can be found at http://63alfred.smugmug.com/. You can also see John’s other articles on JCH by clicking here. Thanks it https://www.ifixit.com/ for the images of e-waste. [vii] Shanebrook, Robert, “Making KODAK Film: The Illustrated Story of State-of-the-Art Photographic Film Manufacturing,” Shanebrook, 2010, Rochester, NY, USA, p. 9. [xi] Densities of Miscellaneous Solids, The Engineering Toolbox, [Link here], (12/7/15). [xiii] Lower greenhouse gas emissions, Solvay, “CO2 footprint* for the production of 1 kilogram of plastics (in kg eq. CO2),” [Link here] (12/7/15). [xiv] Desjardins, Raymond at el. , “Carbon Footprint of Beef Cattle,” Sustainability 2012, 4(12), 3279-3301, [Link here], (12/7/15), p. 3294. [xv] Ashby, “Materials and the Environment: Eco-informed Material Choice,” Butterworth-Heinemann, 2013, p. 127, [Link here], (12/7/15). [xvi] Personal email E.J. Peiker to John Kossik, 12/3/15. [xvii] Dessouky, Yasser at el., “Computing the Carbon Footprint Supply Chain for the Semiconductor Industry: A Learning Tool. “ Industrial & Systems Engineering Charles W. Davidson College of Engineering, San Jose State University, Proceedings of the 41st International Conference on Computers & Industrial Engineering, p.4. [xix] Personal email E.J. Peiker to John Kossik, 12/3/15. I would like to extend my thanks to John for taking up his personal time to produce this thought provoking and meticulously researched piece of work. there is certainly food for thought there and it definitely opens up many avenues of discussion. We would love to hear your thoughts and your feedback in the comments below. Your analysis didn’t include the cost of prints for a film SLR, so you need a computer to view your film CD scans anyway. The argument that one needs a computer to view DSLR images is a moot point. Unless you are shooting slide film, then you can see/view your film images how they are meant to be seen without a computer. Slide film is much more than your average cost of film $ figure though. One could just shoot on digital and print at a photo store and never own a computer just like film shooters dont install a minilab machine or a Jobo. But really, how many people dont have at least a laptop anyway. I know of one film shooter that doesnt have internet but participates on Apug.org.- anyway, exceptions are ignored in statistics. I dont understand why buying a film camera needs to cost $1600 in the financial calculation unless we have to buy a new F6 or a Leica. So many cheap “full frame” film cameras… millions between $10 – $100. I can see where this is a bottomless chasm to navigate when deciding on metrics. Really interesting read – thanks for that. A couple of interesting assumptions though, particularly that your digital keepers would equal your entire shutter count on film. I agree that I get a lot more keepers on film, but still nowhere near 100%. Still, really enjoyed your article. Admirable. However I’d be more interested to see your important figures as ranges rather than a single number, even if you stick to single numbers for some of the trickier assumptions (among which there are many and you should be commended for the thought and explanation put in). Very interesting and informed read but still, even as an avid film shooter, I don’t know where such arguments intend to lead. While film is still produced, film cameras are not except from rather cheap Cosina bodies or some crazy expensive collectors’ pieces. I don’t know of any shop around West Europe where you can readily buy a new F6. As of now, I believe that film photography will die not because of the lack of film, but because of the lack of cameras. Second hand is getting more and more expensive, with less and less good cameras left and even the good ones will die someday. So what’s the point comparing current technology and a mostly dead one? It feels to me like comparing laptops and typewriters. Perhaps better to compare laptops and paintbrushes? Film clearly is not that dead, I can get it everywhere from the dollar store to the drugstore to the camera shops to the dedicated film and development chemicals store in my town. As for new cameras, there are two models of Nikon, two models of Leica. Thirty models of Lomo, a couple of other OEM ‘build your own’ kits, a few Fuji instant models, every single disposable camera on the market and plenty of companies selling refurbished Trips, Nikons, Leicas, etc – and offering warranties and aftermarket services on the same. The brand new digital camera store that opened in my town stocks Ilford, Fuji, and Kodak film; has a C-41 Minilab and sells Instax cameras. It’s become a mostly artistic tool, in the same way that paintbrushes used to take all portraits and were the sole method of writing in many languages before the introduction of the pen and computer. Calling film dead simply doesn’t match reality. Diminished yes, deceased no. Prefer film to digital for the environment. The pace of technology changes so rapidly, and is driven by consumption. Beautiful digital cameras of today are paperweights tomorrow, advances in software and hardware render old cameras and data unreadable, therefore unusable. Not being a pro (Read: a person who lives by their pictures, as a source of income) digital holds little interest, especially trying to keep the pace of change, having to upgrade and replace computers and digital hardware is in my opinion, wasteful. Film offers something more. My gear is all from the 1970’s to the 90’s, as are my darkroom supplies. Chemicals are cheap and abundant, and while film is not so cheap, the DIY attitude helps to keep the costs down. If anything breaks, almost all of it can be fixed, and regular maintenance keeps cameras over 50 years old running smoothly. For me, shooting film is way better for the environment! You guys are somewhat right, and I actually like the idea that we can still live on the massive amount second hand cameras. I thought myself to shoot with fully mechanical/repairable/sunny 16 friendly ones and cherish my F2’s. But this still means that this is a finite market and a Mad Max scenario. As long as we have gas, we can drive and repair our cars, but there is no more car factories. I don’t know of the 2 new Nikons still available. 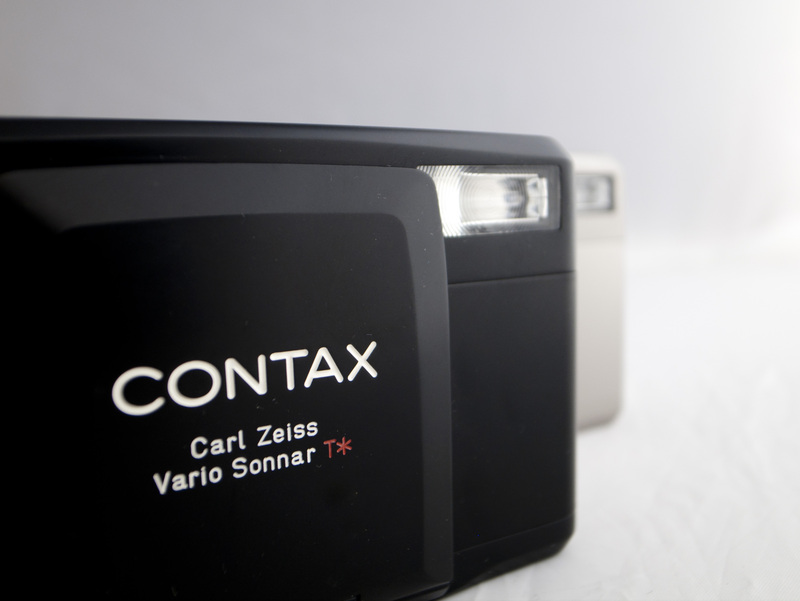 F10 is made by Cosina, as are the Voigtländer rangefinders. F6 is out of production as far as I know. 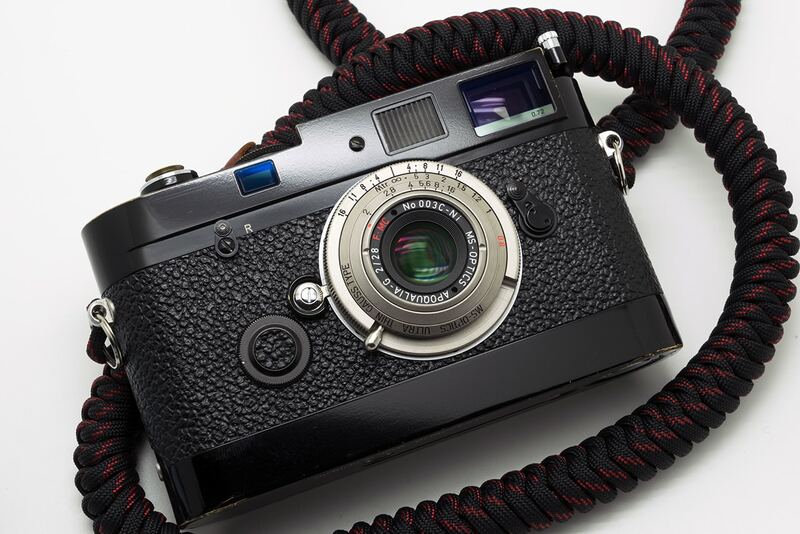 Those of us who still have a kindey to sell can dream of some rare FM3a-style new entries to the market, but as with new Leica, those are absurdly expensive and won’t drive new shooters to film. Lomo are fun, but until recently were mere toys. There is a change at Lomo since the production of their Petzval lenses, but I’d love to see them produce bodies with the same amount of quality. As of film as a medium, I am actually happier now than before, thanks mostly to the amazing things Adox create. So I’m not saying film is dead, but there are still more paintbrushes factories than camera ones. Even with film still being produced, there won’t be a second hand camera for all future artists. There are quite a few film cameras still produced, from low quality and overpriced Lomography stuff to top of the line Nikons and Leicas. Online orders will get these cameras to your doorstep without having to tramp through the shops. As for the used market, there are literally MILLIONS of cameras from the last 100 years still around and functioning, or they can be refurbished for much less than a good new full frame digital camera costs. I still don’t really agree, Kumo. Specifically where it comes to the ‘factories’ part. A lot of pro repair shops now have the facilities or the contracts to have custom parts made. This means that there isn’t a need to cannibalize old mechanical cameras to keep others running; except as a cost measure. What we will see a drop in; is the 1970 to 2005 electronic cameras; Nikkormats, Canon EOS, the (now actually and sadly, discontinued) Bessa R-A’s. These use complex IC’s that can not be comparably replaced easily. Leica’s, manual Nikons like the F2, TLR’s and anything else that has a clockwork shutter; there is no problem in repairing these cameras even when all the parts have gone away. I’d wager there’s enough of an art market from those cameras alone to keep film in sufficient demand for the forseeable future; and I don’t see any barriers to more ‘Lomo’ style manufacturers in the future. I wish you’re right, Sam, I sincerly do. That’s why I turned to the F2 for my 135 needs anyway. Add caffenol and we’re durably safe ont the processing side of the equation. And in the broader realm of chemical photography, we’ll always have pinhole cameras and collodion if things go sour. At least, the film crowd is more creative than ever. That’s a very good thing indeed. One aspect you could also include in your life cycle study is the costs to human health. Manufacturing digital products is pretty toxic, and bunny suits are used to protect the products from human bodies, not vice versa. The water pollution from manufacturing silicon chips is awful for surrounding communities, too. How can you compare what you obviously have no clue or didn’t spend enough time to think about? I agree, at least it was a positive minded effort to bring up something that could be comparable, if it just would have been. – including User impact, waste of package and box, other material, adding a little bag and it’s production, distribution, etc. waste CO2 impacts, for all packaging involved and related transports. You see, far too many elements, big pieces you left out of your equation, you didn’t bother. Yes, I agree, a huge effort, that’s why nobody is actually doing it without being paid for and the ones who pay demand a specific result. Therefore all in all we can contribute to CO2 reduction by avoiding GAS and make best use of what we have. Select repairable products and let them repair. All in all, almost every digital camera built since 2010 is excellent. 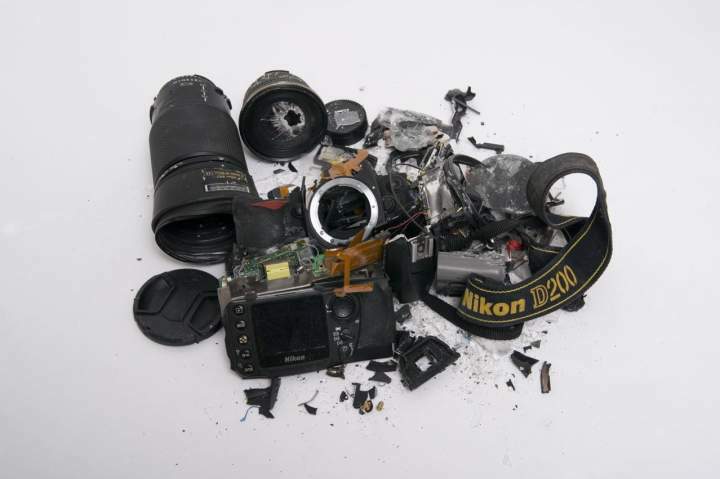 Repairability is given mostly on large size, professional series cameras and lenses for a few years (5+), and only very few products have even vintage support by the manufacturers. – In doubt buy a second, identical. Nothing’s free, not even our air, that we pollute and the water we drink with sugar, even our waste is not for free. How come someone might believe digital photography is for free, or digital images. Is what you see for free? Nope. For free as for free of charges? Hmm, then, what is “charges”? Costs? all costs? only what you directly pay to look at something? How far do we want to blend out in what context we live and what context all we see, use, generate, create “lives”? Everything has an impact and all impacts can be seen as cost, some even positive. Very interesting article…minus the carbon footprint nonsense! Thanks for sharing it! You spend $1660 on a top DSLR then throw it in the bin after 3 years? How about selling it for $800 or more? I used to take hundreds of print photos a year, using a 1960s Nikon F. Now I take thousands of digital photos, using only slightly “outdated” cameras, I like the best, but not the latest. There is no comparison in cost possible. Really interesting approach, well done for the work. I had a similar discussion with a friend lately, and we pointed out another point, the CO2 footprint of internet used. Internet & cloud computing represent 8% of the electric consumption in Switzerland. Digital photo, as well as film photography when negatives are scanned (this is my urrent process), cannot be separated from images sharing. Flicker, instagram, tumbl’r but as well Lightroom & photoshop cloud-based approach of data saving has a huge energy cost, that we often do not consider. It is indeed extremely complicated to properly assess it, but I really enjoyed your effort to try. Thanks! Is it me, or did he smashed him D200 from https://www.japancamerahunter.com/2014/11/film-vs-digital-study-john-lossik/ to prove his point? And if so, is it that he hates digital now? Very interesting. I am not sure where the idea digital photography is free comes from, unless it starts with people stealing cameras. But silver is really toxic, which is why it kills bacteria. And like most toxic material, it depends on the form and the criteria you are using–sticking a silver spoon in your mouth is not going to kill you, but putting silver in solution into our water supply is going to have negative consequences, and not just for humans. Silver flatware came into use because there was no better material–food grade stainless steel came much later, for example. Anyone running a chemical darkroom should really understand the chemistry they are using and should dispose of it properly. Anyway, it is an interesting problem to think about. And there are many factors and variables. For example, I wonder what the carbon footprint is to produce the gelatin needed for film and paper–film photography is out for vegetarians as it all comes from cows. But then, film photography is the great recycling movement–who are making film cameras anymore (yes, there are still manufacturers, but not what it was). Interesting read, though there are so much more into each film frame other than the plastic base and photosensitive coatings itself…it is sold in a paper box, which contains a plastic canister, that contains a metal tube, with plastic ends and axles, that then contains the 35mm film strip, which of course is much longer than 37mm * 36 exp. for a 36 film roll. And even if you add all these ancillary fractions of embodied energy for each frame, you are not accounting for the actual CO2 footprint, as you are omitting energy cost of transferring the raw material, preparing it for manufacturing, the inefficiencies of the required process and the resulting waste etc. And then there is the developing, and the footprint for making, containing, storing and disposing of all these chemicals…goes too far, right? Well, definitely much more than the milligrams you need to coat of 35x37mm of cellulose. Long story short, you are a bit biased. The embodied energy of a typical SLR with the AF, AE & motordrive capabilities of a low-end FF DSLR today would not be considerably smaller to outweigh the huge energy expenses for supporting an active photographer – even enthusiast. And given that the medium of publishing photographic work for the last 2 decades almost has been digital, the digital camera still wins as it can do without not only single use film canisters and developing chemicals of limited lifespan, but also without a film scanning device. If you like film, you are a romantic, which has value as a feeling. No need to stretch reality in order to rationalize it. Great article on a subject that is not talked about enough. Digital certainly has it’s distinct advantages and with recent sensors becoming more and more sensitive you could argue that digital has even become “better” quality than film. Digital will always be square and film will be circles but this is not a analogue vs digital article. You can make another argument that in digital you are not even seeing the highest resolution — most images are down scaled and compressed (and only 8 bit colors). This is a similar discussion with vinyl versus CDs versus mp3s. What is the cost of that or the relative value on the perception of quality? To bring back parity you would have to increase the cost of digital — high rez tablets/smart phones, broadband internet, 8 ink printer on archival, glossy paper e.g. Ultimately it seems like digital better suits us in our digital age but at what cost? DSLRs and SLRs. Both have the same optical components and mechanical components up until how they record the image. I repair electronics for a living, and the first claim of them being un-repairable is ludicrous. Anyone with access to the collective knowledge of the internet has seen the countless iPhone repair videos on YouTube, it is not that electronic devices are un-repairable, most people are just too lazy to learn how to repair them. Also, I have serviced many a film SLR and DSLRs and there really is no difference in difficulty. They are both equally hard to work on, as it is practically always that mechanical components that such as the shutter. Electronics typically long outlast their mechanical counterparts as there are no moving parts or operational lifespans on electronic components. You also state how they are designed to fail, this, again, is ludicrous. The only reason electronics fail is either user neglect, or cheap parts. These cheap parts are not chosen from an engineering perspective to “make it fail” they are simply chosen by virtue that they are cheap, and that saves money. This point, however, is moot since pro DSLRs are not cheap, and therefore typically are designed with very high quality components. Fascinating article thank you so much. My wife and I are going trough the process of turning every aspect of our lives into a waste free and environmentally conscious activity. We started with how we do our laundry and cleaning products and now even my shaving kit is plastic free (seriously everything in our house is a beautiful object now – from my shaving razor to our groceries in the pantry in beautiful glass jars…anyways) Being a film shooter the environmental impact both of chemicals and film itself has always bothered me especially when once a month we take the rubbish out (yeah once a month in a tiny bin) and the majority of it is film cuttings after developing and rolling my own stuff. Shooting film is something I can’t see myself giving up and this article is a great resource not to mention some god numbers to tell other photographers who immediately put you in the hipster wanker category when they realise you shoot film. Seriously irrelevant article.. I’m left with droopy eyes and a giant “SO WHAT”? Go out and shoot and get off the internet. Perhaps you should take your own advice?